If you are interested in volunteering as a hike or backpack trip leader, fill out this form and we will forward it to the volunteer committee closest to you so they can review it and help you begin the process of familiarizing you with our guidelines, policies, and standards for these activities. Generally, all prospective hike leaders should attend a new hike leader seminar and do a mentored hike in addition to filling out this application. The look on people's faces when you get them outside and show them places they've never seen is often cited as one of the best rewards for our volunteers. If you are interested in contributing to the mission of The Mountaineers by organizing and leading hikes or backpacking trips, please let us know by completing this simple application. We obviously have to ensure that every leader meets some critical baseline standards and this application will provide our committee with relevant information about your goals and experience. One of our volunteers will follow up with you on the next steps to get you certified as a hike or backpack leader! What phone number can we use to reach you? What address should we use to correspond with you? This will also help us make sure we work with the Mountaineers branch that is closest to you. Are you a current Mountaineers member? This is not a requirement at this point, but may help the equivalency evaluator assess your level of comfort on outdoor experiences. Ultimately, you will have to set up a profile in our system so that you can sign our waiver and participate in activities with us. 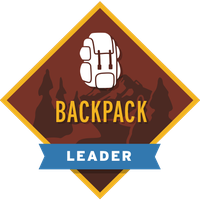 Do you want to lead hikes, backpacks or both? Choose the committee(s) and/or group(s) for whom you want to lead trips: In addition to our standard hiking & backpacking committees, we have several other special interest committees and groups that also lead hikes. We will connect you with the closest committee(s) or group(s) of interest. 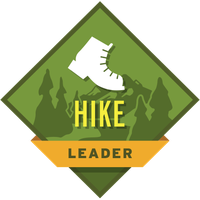 Please note, all prospective hike and backpack leaders must receive their leader credentials through their branch's hiking and/or backpacking committee (including any required activities such as new leader seminars and mentored hikes/backpacks), even if they only intend to lead hikes or backpacks for one or more special interest committees. Is your preferred committee or group not listed? If there is another committee or affinity group that interests you, please tell us what you are looking for. We will connect you with the relevant volunteer(s) or staff who may be able to assist you in getting such a committee or group up and running. Tell us briefly about your experience with hiking and/or backpacking. Please list the hikes and backpacks you have done during the past 1-2 years and whether they were with The Mountaineers, on your own/with friends, or with another organization. Please include the trip name or destination, the approximate mileage/number of days, and the pace. If there are many (more than 10), please describe a few representative ones and indicate about how often you hike or backpack. Why are you interested in leading trips? Please tell us what interests you about becoming a trip leader with The Mountaineers. What about leading appeals to you and how might it fit with your personal goals or other plans? Can you comply with all of the minimum standards for our hiking and backpacking programs? Anticipated Number of Trips Do you have a sense of how often you would like to lead trips for The Mountaineers? 10 Essentials and Leave No Trace Please describe your familiarity with the essential hike and backpack gear along with your familiarity of Leave No Trace principles (camp on durable surfaces, dispose of waste properly etc). Group Leadership Experience Please explain any group leadership/outdoor leadership experience you have (including service as a leader, instructor, or other similar role in conducting outdoor recreational activities). Navigation Training Have you had any formal navigation training? Please describe it and what level of comfort and experience you have with using topographical maps, compasses, and other navigation tools. First Aid Training Have you taken an Wilderness First Aid (WFA) or Wilderness First Responder (WFR) course? If so, how long ago was it? Please also let us know of any other medical training you've had. Other Outdoor Skills Training Have you received training in any other outdoor skills that would be relevant to taking groups of people into the wilderness? If so, please tell us about it! Anything else you would like to share with us? Let us know if you have any concerns, questions, or simply want to let us know more about you! Thank you for your interest in our Hiking and Backpacking programs! We will forward your application on to one of our amazing volunteers, who will review it and get in touch with you about how to move forward. If you have any questions, feel free to reach out to us at info@mountaineers.org. Questions about affinity groups? Please check out our blog post for more information.